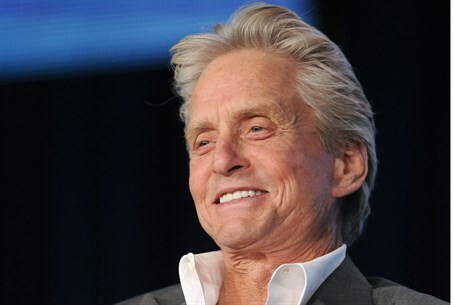 Actor and peace activist Michael Douglas will be the recipient of the 2015 Genesis Prize. The Genesis Prize is awarded annually by the Genesis Prize Foundation, in partnership with the Office of the Prime Minister of the State of Israel and the Jewish Agency for Israel. The award recognizes an accomplished and internationally renowned individual who is considered a role model in his or her community. A recipient's achievements should also express a commitment to Jewish values, the global Jewish community, and Israel as well as serve as an inspiration for the next generation of Jews worldwide. The Genesis Prize Foundation is endowed by the Genesis Philanthropy Group - a group of Russian billionaires who aim to celebrate "the richness and diversity of Jewish culture" as well develop a sense of pride among unaffiliated Jews around the world. Their decision to award Douglas, 70, was announced on Wednesday night. The prize committee included Nobel literature laureate and noted Holocaust survivor, Elie Wiesel. Douglas will receive $1 million as part of the prize, which is awarded in a special ceremony in Jerusalem. Jewish Agency Chairman Natan Sharanky and Prime Minister Binyamin Netanyahu will confer the prize on Douglas on June 18. The famous actor, the winner of two Academy Awards, four Golden Globe Awards, and an Emmy Award, also serves as a United Nations Messenger for Peace. Douglas plans to use the prize money "toward promoting activities designed to raise awareness of inclusiveness and diversity in Judaism. Stan Polovets, co-founder and chairman of the Genesis Prize Foundation says the foundation is "proud to honor Michael Douglas, both for his professional achievements and for his passion for his Jewish heritage and the Jewish State." The choice of Douglas for the award may be viewed as controversial as he is the son of a Jewish father - famous actor Kirk Douglas (born Issur Danielovitch) - and a non-Jewish mother. He was also not raised in the Jewish faith, but rather embraced it later in life. In an interview with the Los Angeles Times, Douglas admitted his selection would likely "not go without controversy or debate." But he noted the inspiration he took from his son Dylan, who celebrated his Bar Mitzvah in Jerusalem over the summer, as well as his father's reaffirmation of his Jewish identity. Douglas hoped the award would "encourage a new generation and remind them what their roots are and that they are welcome" in the fold. Michael Bloomberg, a businessman and the former mayor of New York City, was last year's and the inaugural recipient.